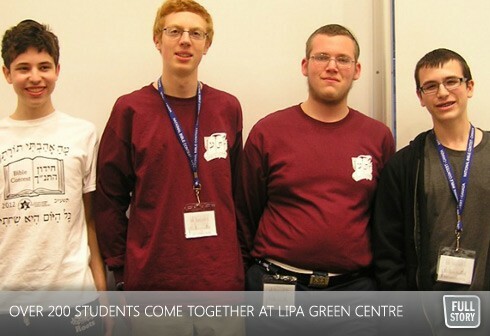 In March 2012, more than 200 students from Toronto, Montreal, Victoria and Calgary came together at Toronto’s Lipa Green Centre for Jewish Community Services on Sherman Campus for the annual Regional Bible Contest. More than half (111) of those who competed advanced to the National Bible Contest which will be held in Toronto from May 6th to May 8th at the Lipa Green Centre. The National Bible Contest is an event that highlights the efforts of our students in day and supplementary schools who engage in the study of Torah, above and beyond their regular curricular expectations. This event, which saw students writing their Chidon exams, studying in chevrutah, and socializing with new and old friends, was co-sponsored by The UJA Federation Centre for Jewish Education, The Bronfman Jewish Education Centre and Jewish National Fund. The winners in the 9-11 division will compete in the 2013 International Bible Contest in Israel. See below for a list of the winners.